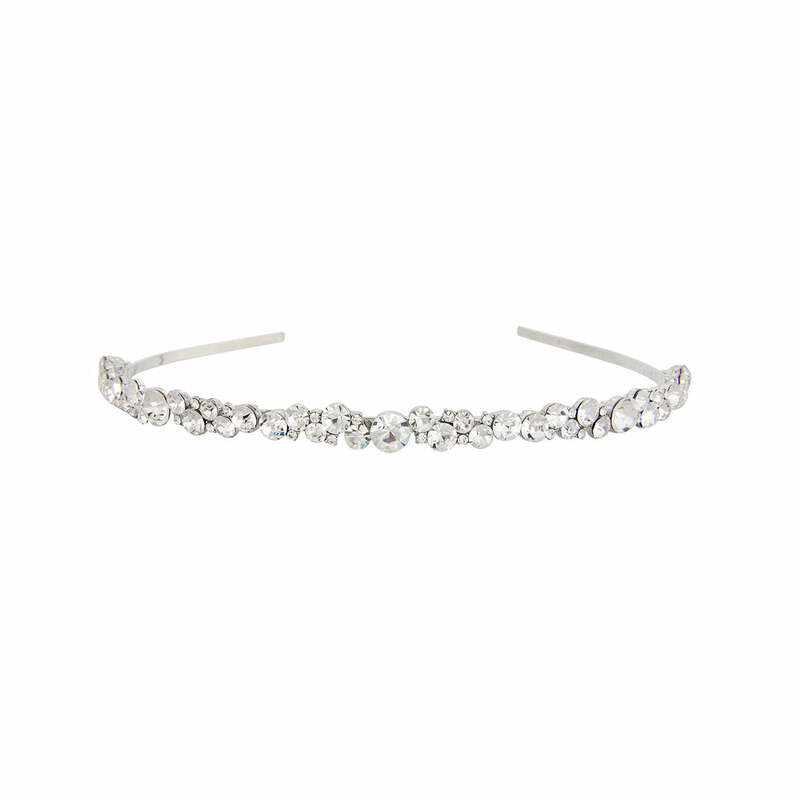 Featuring a myriad of Austrian crystals and perfect if you adore a simple yet classic head band. Featuring a myriad of clustered Austrian crystals set on a single silver tone headband, this simple and striking hair accessory adorns with understated class. Featuring various sized sparkling crystals this piece compliments all hair styles, types and lengths. Coordinate simply with crystal drop earrings or, for a more dramatic look, scatter petite crystal clip-in hair slides throughout the hair or add a bejewelled hair clip to the back or side of an up-do. A beautiful wedding head band for brides and bridesmaids who love subtle and elegant hair jewellery, it compliments all style of wedding gowns from vintage inspired to fairytale. I wore this headband on my wedding day & it was beautiful. I had a massive dress so wanted something sparkly but quite simple. This looked great with my dress. I got many compliments on how lovely it was. It sparkled beautifully. Loved it. I bought four different type of head pieces to try because I love them all, the quality of the products is very high. For me this was the simplest piece I ordered but the simplicity of the head band is beautiful, it sparkles in the light and it's just enough 'bling' it's a comfortable head band as well and I have a big head! I would highly recommend glitzy secrets. Gorgeous. Photograph online does not do it justice, it is so much nicer. This was the perfect addition to my bridesmaid outfit. Sparkly, elegant and very well made.